Pakur in its emergence and inception had been a cluster of ponds and orchards surrounded by deep forest and hard rocks under the range of Rajmahal hills. It had previously been Raj in its new dimension under the British rule. The British had also been the centre of revolutionary activities the repercussions of which might be seen in the Santhal hul of 1855. There is evidence of area having been inhabited since very early times. Among the early settlers of their territory of whom there is any record, are the Maler (Sauria Paharias) who still inhabit some areas of Rajmahal hills and its adjoining hilly tracts. They have been identified with "Malli" period of Chandragupta Maurya. According to him the Malli were a race holding the country between the people of Magadh and the people of Lower Bengal. A reference has also been found in the travel account of Hiuen Tsiang, the Chinese pilgrim, who visited India about 645 AD. From the record of his travels it is learnt that he visited the kingdom of champa the northern boundary of which extended along the Ganges from Lakhisari to Rajmahal hills while the Southern boundary passed through desert wilds in which were wild elephants and savage beasts that roamed in herds. To the east of Champa lay the kingdom of Kie-ching kielo, which according to General Cunningham was the tract of the country included in the present Santhal Pargana. After the downfall of Harshavardhan, the king of North India upto the advent of Mohammadan rules in 12th century this area remained in oblivion due to its deep forests and inaccessible passes. The authentic history of the area may be said to begin with rule of the Mohammadans when their armies marched to and from Bengal through the Teliagarhi pass. According to Mohammaden historians Teligarhi pass the "Key of Bengal" as it was called, was the scene of numerous battles. The next important event in the history of this area was the establishment of Rajmahal as the capital of Bengal in 1592 to singnalise the importance of the Mughal victory. The Mughal Govt. seeing the little prospects of revenue from these barren hills had been content to leave control of them to Mansabars of whom the chief were the khatauri family of Manihari. The founder of the family helped Raja Man Singh, the reputed general of Mughal emperor Akbar in Bengal invasion. in reward he got the office of Mansab Jagir of the tract Rajmahal and Pakur on the east of the hills to Kahalgaon and Godda on their western face. Whether the control they exercised was effective or, as is more probable, was merely nominal, they appear to have been on good terms with the Maler till the middle of the 18th century when the Maler got completely out of hand. Two petty estates known as Amber and Sultanabad were existing in this area which later on became famous in the name of Pakur Raj and Maheshpur Raj. These two Zaminders linked with Mughal /administration were responsible for the care and nourishment of the Paharia domain. But the turbulent history of that period shows that there was complete anarchy in this area and these Zamindars were also fishing in the troubled water. According to P.O. Bodding before the arrival of Santhals in this area a very primitive tribe Sauria Paharia and the Mal paharias were already living in the hill tracts of Rajmahal hills. Whatever their origin and from wherever they might have come, it remains a fact that the wild Paharias had always maintained their independence before the British came because of their geographical isolation. The inhabitants of Rajmahal hills were never in subjection to the Mughal Govt. It is presumed that the Mughal administration failed to penetrate into this area as it is vast hilly tract covered by deep forest and by that there it might have remained hill locked completely cut off and isolated from the outside world. They were also never in any way subordinate to the British Govt. till the arrival of captain Browne in 1774. For many years the Santhals and Paharias had been living in constant feud. In order to bring a compromise between tribes Mr. Sutherland, Joint Magistrate of Bhagalpur it 1819 made a recommendation to the Govt. to from Damin-i-koh in 1832 -33. The name Damin-i-koh is a Persian one meaning the skirts of the hills. The hill tract of Damin-i-koh was virtually reserved for the Paharias by some squire miles of low land at the foot of the hills were given to the Santhals pouring in great number from the district of Birbhoom. Mr. Sutherland, during the course of his tour in this area in 1818 suggested that the hilly tracts inhabited by the tribal should be declared the direct property of Govt. so that they could be looked after better. The Govt. accepted these recommendations in 1823 and 1837. Mr. Pontet was placed in charge of revenue administration. The Santhals were encouraged for clearing jungle. The British officers got the impression that all was deceptive appearance. The internal set up of the administrative system could not ensure proper justice to the common man and there was a deep underlying discontent among the simple minded Santhals. In addition to this Baniyas and Mahajans use to make heavy executions from the innocent Santhals and there was no check on them In Damin area where Santhals had settled in large numbers the Naib Sazawals assistants of English Supdt. Were very oppressive. The police was equally corrupt.The Santhal was used to ready justice at no cost. Another more disgusting malpractice was the kamiyanti system. The idea behind it was repayment of a debt by physical labour. In practice however the debtors worked in many cases for a generations or two and yet the loan, no matter how small, could not be repaid. All these facts and circumstances led to the Santhal Hul of 1855. The basic reason for this catastrophe was the economic privation of Santhal resulting from the permanent settlement. The first spark of the revolt was ignited at Littipara under the leadership of Bijay Manjhi. The arrest of Bijay Manjhi and his death in Bhagalpur Jail without trial inflamed the sentiments of Santhals. His sons Chandrai and Singharai raised the banner of revolt. Chandaria was killed in encounter and Singharai was arrested and hanged in Barhait after a summery trial. Ten thousand Santhals assembled under the leadership of Siddhu, Kanhu, Chand & Bhairab sacked Pakur and Maheshpur primarily by challenging the British authorities. But the British Govt. succeeded in suppressing the rebellion with ruthless hands. The Santhals ill equipped with traditional weapons could not face the well equipped British forces. Though the Santhals were beaten but extraordinary courage and resolve exhibited by them during the rebellion left their impression on the British rulers. They realised that the Santhals had to be kept in good humour and their reasonable demands met if the Govt. wanted to rule ever this area. A separate district was created by Act XXXVII of 1855 and it was given the name of Santhal Pargana, perhaps to appease the Santhals. Steps were taken to redress the grievances of the Santhals and to given them a homeland with a sense of security. Later on Santhal Pargans Tenancy Act 1949 was enacted after independence for the safety and special identity of this area. Pakur a part & parcel of Santhal Pargana was not immense from patriotic favor and played its role in the country's struggle for freedom. Martello Tower is now the reminants of the struggle fought between the British and the Santhals in Pakur Town. It was built in the year 1856 by Sir Martin the ten S.D.O.,Pakur with view to protect the British Raj from the onslaughts of the Santhals. It stands in the south east of Siddhu Kanhu Park situated in front of D.C.'s residence. A panoramic view of the adjoining hills towards west and hills of Rajmahal towards north east and Jangipuru about 24km. east was visible from the top of Martello Tower strategically this tower was much more important for the British force for watching & checkmating the rebellion of Santhals. Once the Santhals numbering eight thousand armed vigorously with bows&arrows & battle axes destroyed Pakur by plundering & burning of bungalows and sacking of Rani's palace. In retaliation the British forces crushed them ruthlessly by killing thousands of people in number. In these skirmishes the Santhals got a severs loss because they could not stand before the well equipped British forces with their traditional weapons.Virtually this Martello Tower has seen the sacrifices of Santhal warriors who waged war against the Englishmen, tyrant Zamindars and debauch money lenders with a view to drive them out from this home land. Their sacrifices are the living contribution to the independence of the Country. Santhal Pargana has the distinction of having the largest number of Sub-Divisions in old Bihar. They are Dumka Sadar, Deoghar, Jamtara, Godda, Pakur and Rajmahal. After independence in the year 1981 Santhal Pargana divided into the four districts i.e. Dumka,Deoghar,Godda and Sahibganj. 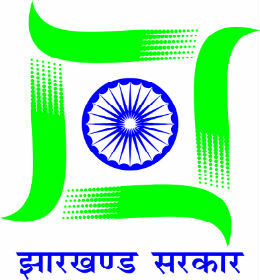 Pakur being attached with Sahibganj as a Sub-Division was upgraded as district in the year 1994.